I participated in an Influencer Program on behalf of Mom Central Consulting for MassMutual. I received a promotional item to thank me for participating. What does the American Dream mean to you? Is it the same as your parents or grandparents American Dream? The American Dream of yesteryear seemed to be focused on working as hard as you could to be financially successful for your family, then education, and then owning your own home. Today, some people feel like the American Dream no longer exists due to the way things have changed over the past 200 years or so in the states. But, I have to disagree. I still believe in the American Dream. Yes, things have changed. There’s a lot more luxuries turned necessities for many of us that are more easily obtainable like cars and cell phones. The economy may still be recovering to where we all still worry about our finances more and college graduates may still be stuck in lower pay public service jobs. However, I still think that my version of the American Dream is very much alive. I consider the American Dream to be achieving whatever goal you set for yourself through unwavering dedication and hard work. That may be moving up in your company, owning a house, having your own successful business, getting a degree, complete financial freedom, saving for a nice retirement and so on. When I was a child, my own American Dream was to go to college and be very successful at my job. Of course, life didn’t go as planned, though, and I ended up needing to care for my parents instead. I feel that in creating my own successful business through this blog and other writing avenues has been my own “new” American Dream achieved, though. Sure, it’s endured literal blood, sweat and tears and I may not own a fancy car or live in a mansion. But, I am able to have the freedom of working for myself while being able to support my family by being able to pay the bills and still be able to have fun and really enjoy life. At the end of the day, that’s far important to me than any material item. My continuing American Dream is to continue to build my business successfully, and earning more income to be able to live even more comfortably and able to save money, which is something we haven’t really been able to do thus far, which often leaves me on pins and needles worrying about if an unexpected bill came up. According to the MassMutual’s State of the American Family Study, half of older Millennials surveyed aged 25 – 32 feel like the American Dream is disappearing completely. Forty-five percent of older Baby Boomers aged 54 – 64 also feel this way, which is an increase of 15% over the past 2 years. With that said, it’s obvious that the economy has had a huge impact on how many feel about the American Dream and it’s now more important than ever to have a solid financial plan for you and your family. Apparently many of you feel the same way. For example, did you know that no matter our age, ethnicity, etc. 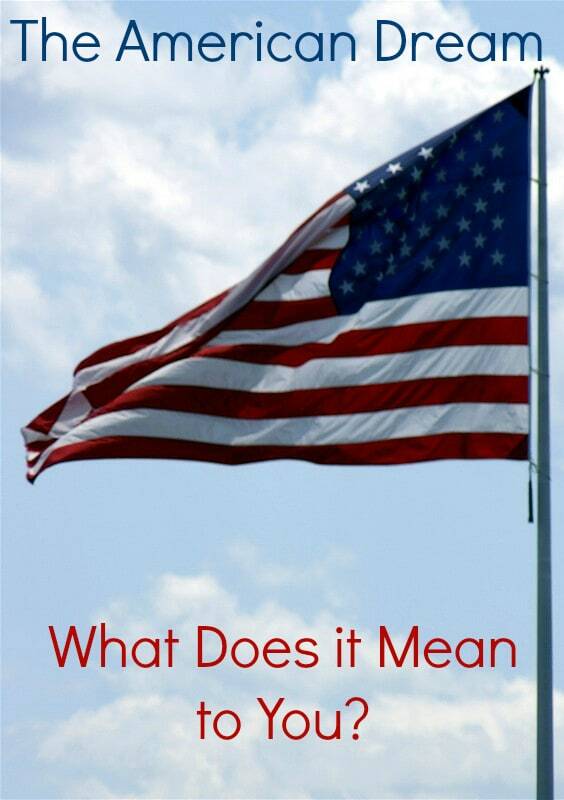 Americans have 4 core values when it comes to our finances? These include putting family first, being actively involved in household financial decisions, educating children about money, and making sure our children aren’t burdened by having to care for us as we age. I found this interesting, as we don’t really seem to put financial education in the forefront of public education anymore, and as a whole, we don’t really openly seem to talk about care for ourselves as we get older, but I think it’s a great change in our society as a child of 2 parents that fell ill at an early age and were totally unprepared for it financially. I also find how the American Dream and finances for women has evolved over the years as we take a more prominent place in the work field and many families depend on both parents having steady income to stay afloat financially. According to the report, 7 in 10 Americans say they want to be actively involved in all decisions regarding their finances, but less than 20% of those same people say they are satisfied with their current financial situation. Furthermore, only about 37% of women believe they are “very good” at managing money. The MassMutualFamily Finances study has more details about these statistics, along with information about how to better understand your family’s finances. So, after digging a little deeper, I’ll ask again: What does the American Dream mean to you? Do you feel like you have your finances under control enough to maintain the American Dream in the future? My finances are fine but even with being “comfortable” its a struggle because of rising costs, rising insurance (homeowners/health) and government programs that keep pulling more and more out of our pocket daily. What 20 years ago when have been a GREAT salary is quickly become mediocre. I think the American Dream is limitless – But has definitely been skewed a little bit over the years.